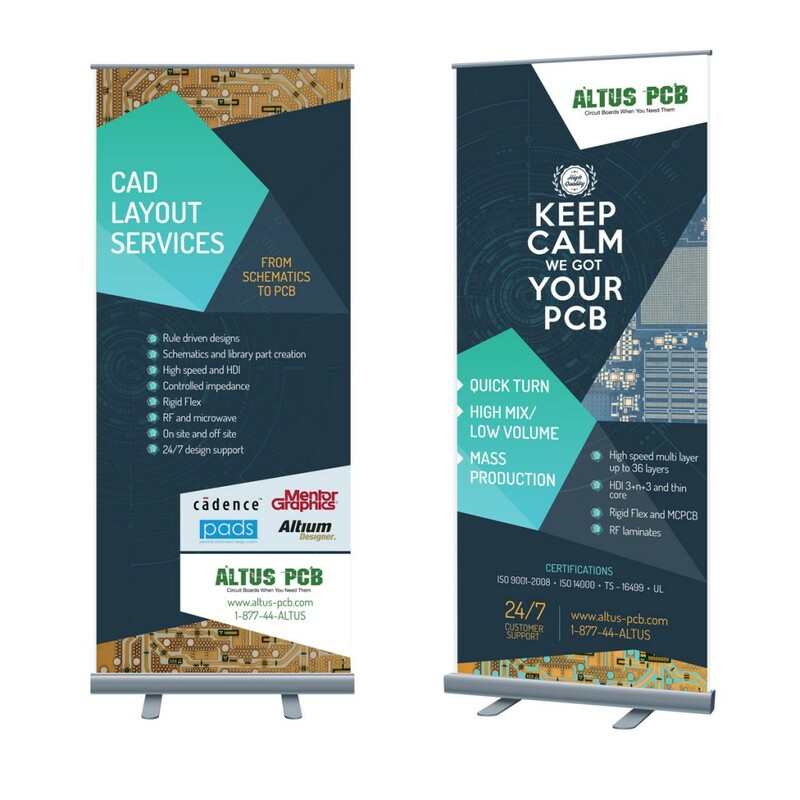 Graphic design for retractable banners to be displayed at a trade show. ALTUS PCB provides total Printed Circuit Board solutions from quick turn prototypes to mass production. ALTUS PCB specializes in delivering the high mix low volume PCBs, technical support, and service to OEM and EMS companies around the globe. They tailor their solutions to their customers while optimizing pricing, quality and delivery for each and every board. Altus PCB offers value added services to further reduce acquisition cost through consigned inventory, VMI, pay as you pull and other programs.